Republican Tom Price left a vacancy in Congress as the Representative for Georgia's 6th Congressional District when he took the post as Trump's head of Health and Human Services (shudder). 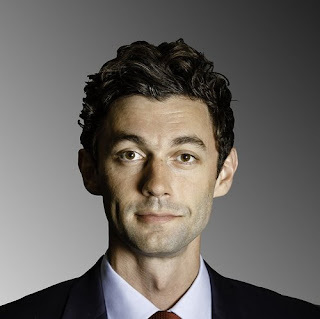 Although Price won re-election handily as an incumbent, Trump only won Georgia's 6th district by one measly point which means that the Democrat who's running for Price's vacant seat has a real chance of winning in April. The Democrat in question is Jon Ossof - an investigative film maker and former congressional staffer who worked with civil rights legend John Lewis. Click here for more background on him. You can help Dems restore a balance of power in the House by supporting his campaign for the upcoming special election on April 18th. I just donated to his campaign and also signed up to make calls. You should donate, too. Whatever you can afford will be helpful. If you're in Georgia, you can also sign up to knock on doors or volunteer in some other way. Here's the link to sign up for volunteer activities. Please do something to help him win!